It's the New Year and that means resolutions and folks going to the gym and doing cleanses and eating healthy. Here at Pleasant Pops, we're all about healthy and eating great stuff year round. Our menus are local, our pops, syrups, sandwiches, salads and soup are all 100% made from scratch at our Adams Morgan shop. This week in honor of the New Year- we are featuring 2 of our most awesome suppliers here on the blog: Misfit Juicery and Fruitcycle. Both Misfit and Fruitcycle are both healthy but they are also social businesses working to reduce food waste. 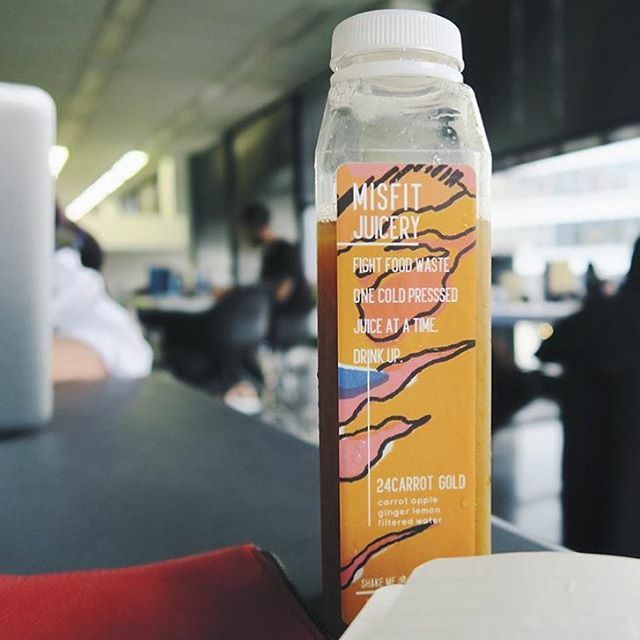 Misfit makes cold press juices from "ugly fruit." Through a partnership with Baldor Specialty foods- they take seconds of bruised fruit that people won't buy and food scraps and make it into wholesome, awesome juice. Flavors change seasonally and their bottles feature work by local artists that also changes seasonally. Current flavors include Strawberry, Asian Pear, Lemon, Ginger and Carrot, Turmeric, Apple, Lemon. We sell Misfit Juices at both of our locations. Fruitcycle is a social enterprise that makes delicious, healthy, locally sourced snacks. The also use "ugly fruit and veggies" and provide jobs for women who have been formerly incarcerated, homeless, or are otherwise disadvantaged. A trip to a local orchard, where thousands of pounds of fruit were going to waste, led to Fruitcycle’s creation. Fruitcycle makes apple chips and kale chips that we sell at both of our locations. Come visit us this New Year and try both of these great local products made right here in Washington, DC!